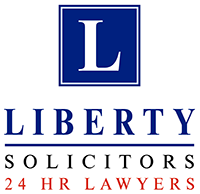 We strongly advise you to contact Liberty Solicitors immediately at any time if social services contact you in relation to any aspect of the care of your children. We are one of the regions leading law firms and have unrivalled expertise in advising parents or carers where social services allege non-accidental injury to a child, neglect or abuse. Referral by a GP, doctor or nurse at hospital because of a non-accidental injury eg. broken bones; swelling to head; or burns; failure to seek treatment; broken ribs; bruising; sexual assault etc. If the police want to interview you about any allegation related to your children, speak to us first in confidence before agreeing to be interviewed. We provide free 24 hour expert advice and attendance at the police station. We have unrivalled expertise and experience in providing advice to parents, relatives or grandparents on all type of family proceedings matters involving children such as contact and residence orders. We can respond immediately and on the same day to an emergency such as obtaining a Domestic Violence Injunction or Prohibited Steps Orders – if a threat has been made for the removal of a child from your care or a child has not been returned back after contact. We are proud to claim return of a child to a parent within 1 hour of attending our office. If you have been served with any papers involving your children contact us immediately. We provide a fixed fee service for all matters in relation to divorce and disputes involving matrimonial assets. Legal aid is available for all cases involving social services and cases involving domestic violence subject to very stringent conditions. In all other cases we can provide you with a fixed fee quote. Who cares? Liberty Solicitors cares! Is your child being kept overseas against your wishes? Are you worried that your child will be taken overseas without your consent? Has your child been taken overseas without your consent? Have you brought your child into the UK from abroad? Are you being denied contact with your child overseas?